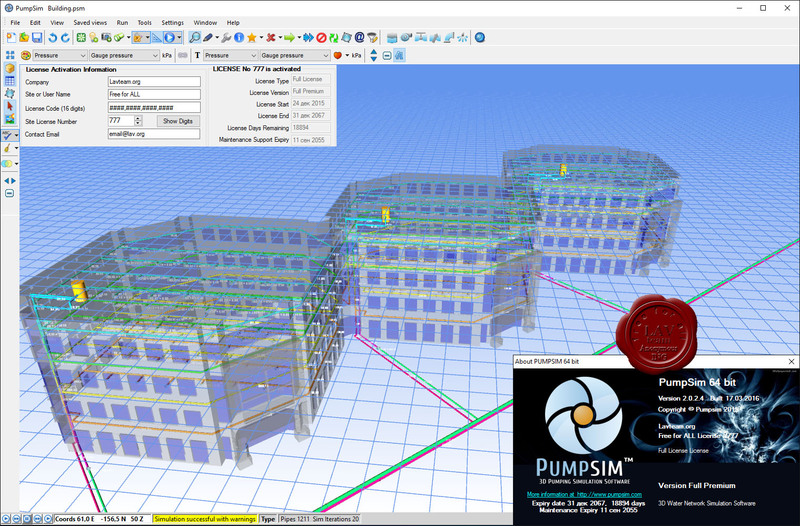 PumpSim provides a full 3-dimensional dynamic environment to generate the most accurate pumping simulation and data from your network. Easily construct pipe models in true scale 3D. Model and simulate flow, pressure and pump performance. Import designs and solids from AutoCAD (DXF). 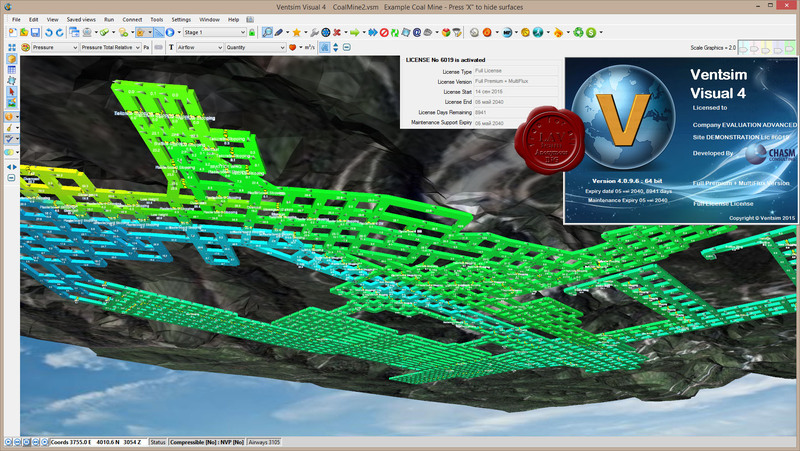 VentSim is underground mine ventilation simulation software, which contributes a large portion of the total costs for a mining facility, because of the need to purchase power and ventilation equipment and adapt mining infrastructure. With increasing regulatory requirements for underground environmental conditions, ventilation is becoming a major factor in the consideration of all new and existing underground mining projects. Mining operations are keenly aware of these costs and responsibilities, and Ventsim products have been developed to specifically address all key areas of underground mine ventilation. 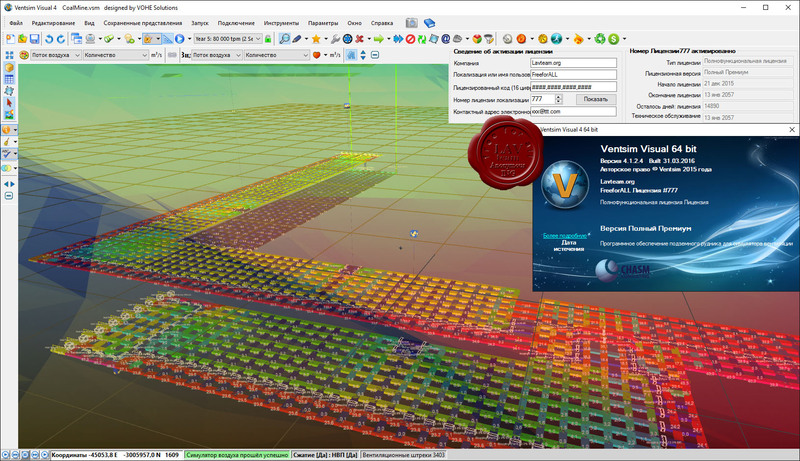 VentSim software packages are designed to simulate airflows, pressure and heats (and many other types of ventilation data) from a modelled network of airways. 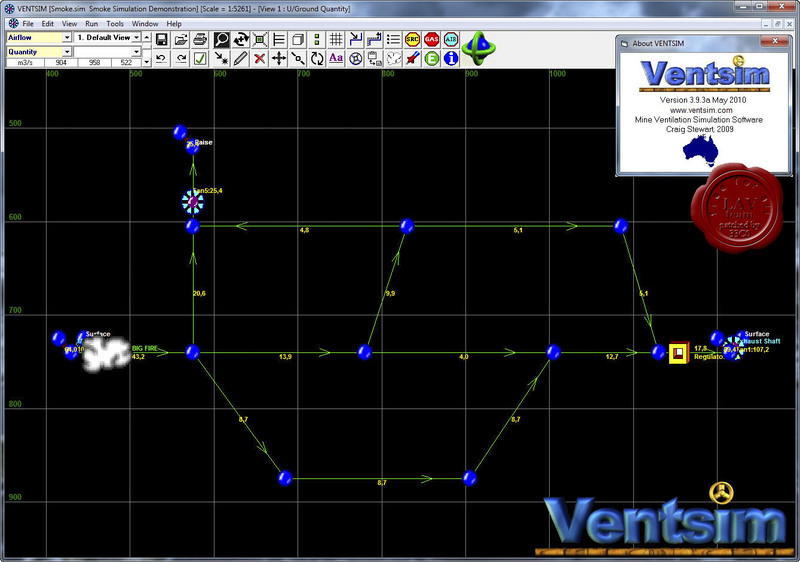 VentSim was the first ventilation package to integrate an easy-to-use Windows graphical design with a 3D graphics interface. The software is currently used by over 400 mines, universities, consultants and research organisations throughout the world.